Flavius Julius Valerius Majorianus was the Western Roman Emperor from 457 to 461. 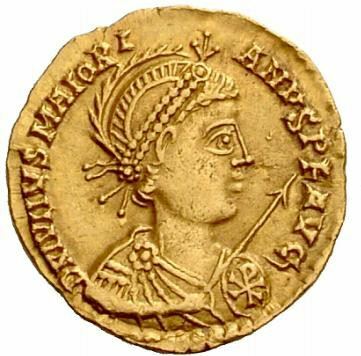 A prominent general of the Late Roman army, Majorian deposed Emperor Avitus in 457 and succeeded him. He was the last emperor to make a concerted effort to restore the Western Roman Empire, but possessed little more than Italy, Dalmatia, and some territory in northern Gaul. Majorian sought to reform the imperial administration to make it more efficient and just, but the powerful general Ricimer deposed and killed him, as he had become unpopular with the senatorial aristocracy because of his reforms.